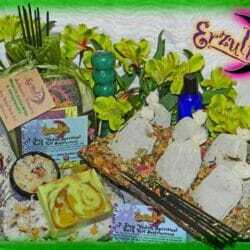 Voodoo Bath Rituals ~ Draw upon the powers of the healing spirits for better health, alignment, balance and rejuvenation with this powerful Voodoo Bath Ritual Kit! 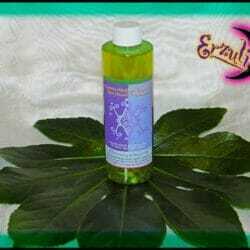 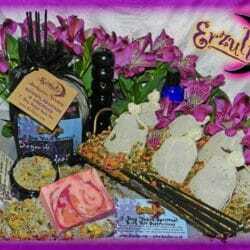 Erzulie’s “Peace, Healing & Protection” Ritual Kit is carefully prepared to enhance good spiritual health, facilitate the healing process, promote calming, balance, renewal and healing from psychic attacks and install energy fields to form a protective barrier from future interference and negative influences. 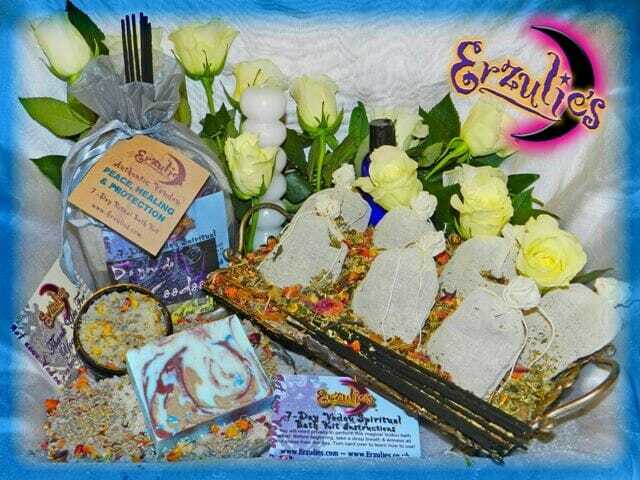 For those who are trying to resolve difficult situations, feel others may be causing them harm or need to heal from past traumas, hurts or grief, bathing with this powerful Voodoo “Peace, Healing & Protection” Magical Ritual Bath Kit will give you the relief you are seeking. 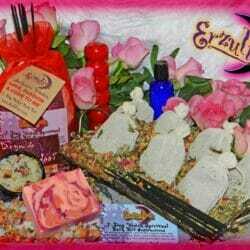 Erzulie’s Voodoo Ritual Bath Kits arrive with powerful Vodou items including: organic, magical herb mixture, organic goat’s milk ritual soap, blended bath salts, hand-dipped incense, powerful bath wash and a blessed 7-knob or 7-chime candles.